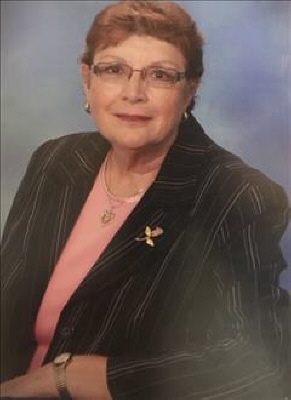 Ellen Marie Ringgold age 69 passed away in the OU Medical Center in Oklahoma City on October 27th, 2018. Ellen was a resident of Holdenville and was a homemaker and a registered nurse during her working years. She was born in San Diego, California on Sept. 10, 1949 to Opha Guy and Doris Ada Finch Phelps both preceded her in death. Siblings, Thomas Phelps and Charlene of California, Patricia Ann MacKnee and Chuck of Ft. Langley, Canada, Rebecca Black and Jeff of Wichita, Kansas, Jennifer Galloway and Kraig of Idaho, Sarah Loraine Phelps of Henderson, Nevada, Matthew Phelps and Laura of Wichita, Kansas, and Emily Jackson and Richard of Longford, Kansas. Grandchildren, Luke Ringgold, Justin Ringgold, Elizabeth Ringgold, Manuella Vasquez, Elena Vasquez, Paola Vasquez, Alandra Vasquez all of Wichita, Kansas. She is also preceded in death by one sister, Rita Ulloa. Services are scheduled for Saturday, 10:30 am November 3, 2018 at the First Baptist Church in Holdenville, Broadway and 9th Street. Burial will be at the Crossroads Cemetery. Pallbearers will be, Luke Ringgold, Justin Ringgold, Tom Phelps, Matthew Phelps, Shane Ringgold and Ian Jones. Honorary Pallbearers, Wesley Higgins, Ray Roberts, James Cook, Kenneth Sanford, Richard Jackson, Ed Cross and Loyd Cross. A family gathering and visitation will be held on Friday evening between 6:00 and 8:00 for friends and family at the Hudson-Phillips Funeral Home. To send flowers or a remembrance gift to the family of Ellen Marie Phelps Ringgold, please visit our Tribute Store. "Email Address" would like to share the life celebration of Ellen Marie Phelps Ringgold. Click on the "link" to go to share a favorite memory or leave a condolence message for the family.